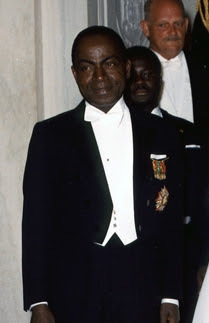 Gabriel Léon M'ba (1902 – 1967) was the first Prime Minister (1959–1961) and President (1961–1967) of Gabon. In August 1966, M'ba was admitted to the Hôpital Charles Bernard, a hospital in Paris. 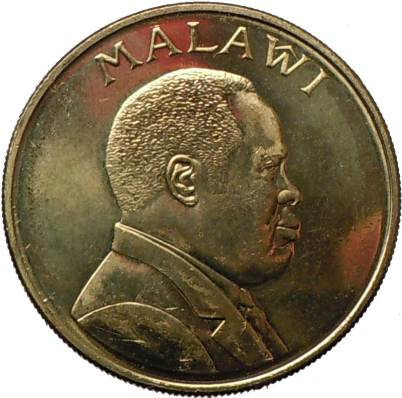 Despite his inability to govern, the president clung to his power, and in presidential elections held on 19 March 1967, M'ba was re-elected with 99.9% of the vote. 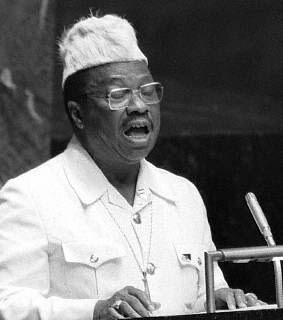 On 27 November 1967, just days after he took his presidential oath at the Gabonese embassy in France, M'ba died from cancer in Paris. 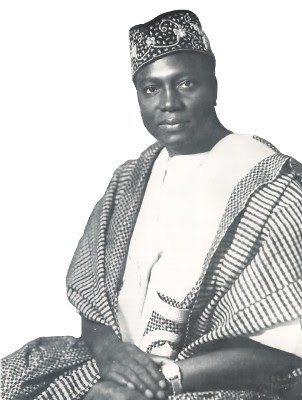 Sir Dawda Kairaba Jawara (born May 16, 1924) was the first leader of The Gambia, serving first as Prime Minister from 1962 to 1970 and then as President from 1970 to 1994. 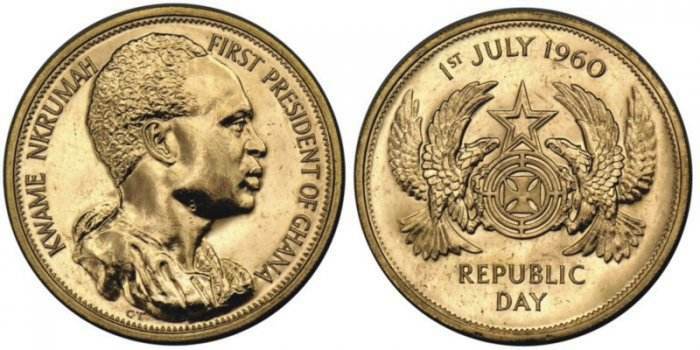 Ghana, formerly known as The Gold Coast, achieved independence from the United Kingdom in 1957. 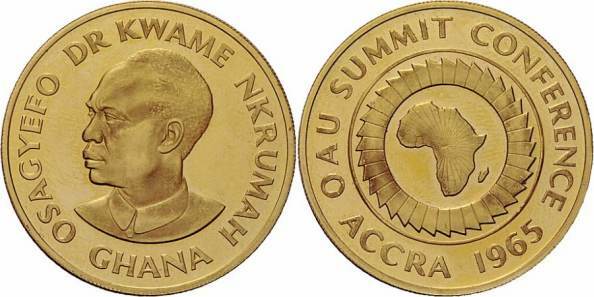 Kwame Nkrumah (1909 – 1972) was the leader of Ghana and its predecessor state, the Gold Coast, from 1952 to 1966. 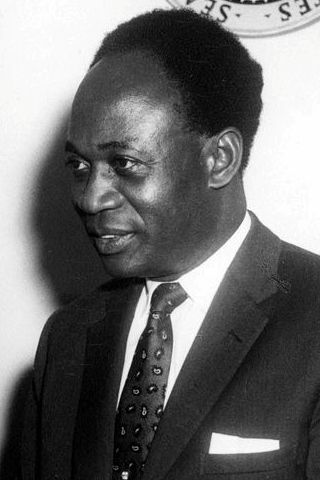 Overseeing the nation's independence from British colonial rule in 1957, Nkrumah was the first President of Ghana and the first Prime Minister of Ghana. An influential 20th-century advocate of Pan-Africanism, he was a founding member of the Organization of African Unity and was the winner of the Lenin Peace Prize in 1963. In February 1966, while Nkrumah was on a state visit to North Vietnam and China, his government was overthrown in a military coup. Nkrumah never returned to Ghana, but he continued to push for his vision of African unity. He lived in exile in Conakry, Guinea, as the guest of President Ahmed Sékou Touré, who made him honorary co-president of the country. In failing health, he flew to Bucharest, Romania, for medical treatment in August 1971. He died of skin cancer in April 1972 at the age of 62. 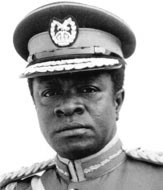 General (then Colonel) Ignatius Kutu Acheampong (1931 – 1979) was a former military head of state of Ghana. He ruled from 13 January 1972 to 5 July 1978, when he was deposed in a palace coup. He was later executed by firing squad. 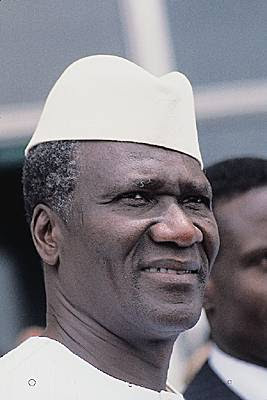 Ahmed Sékou Touré (1922 – 1984) was President of Guinea (formerly French Guinea) from 1958 to his death in 1984. He died while undergoing cardiac treatment at the Cleveland Clinic in Cleveland, Ohio. 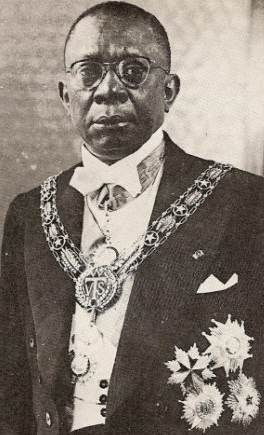 Félix Houphouët-Boigny (1905 – 1993) was the first President of Ivory Coast (Côte d'Ivoire). 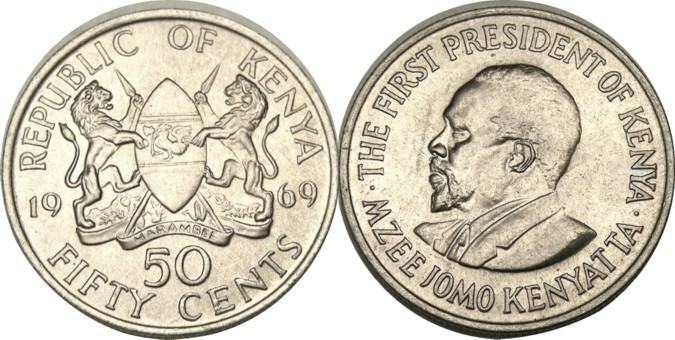 Jomo Kenyatta (c. 1890s – 1978) served as the first Prime Minister (1963–1964) and President (1964–1978) of Kenya. He is considered the founding father of the Kenyan nation. In 1947 he was elected president of the Kenya African Union, but in 1952 he was arrested and charged with being a member of the Mau Mau Society. He was imprisoned from 1953 to 1960 but was admitted into the Legislative Council after his release in 1961. In 1961 and 1962 he led the KANU delegation to first and second Lancaster Conference in London where Kenya's independence constitution was negotiated. Elections were held in May 1963, which KANU won. On 1 June 1963, Kenyatta became prime minister of the autonomous Kenyan government, with Queen Elizabeth II remaining as Head of State, styled "Queen of Kenya". Kenyatta consistently asked white settlers not to leave Kenya and supported reconciliation. He retained the role of prime minister after independence was declared on 12 December 1963. On 1 June 1964, Kenyatta became President when he successfully had Parliament amend the Constitution to make Kenya a republic with his office becoming executive President: the head of State, head of Government, and Commander-in-Chief of the armed forces. On 10 November 1964, KADU officially dissolved and its representatives joined KANU, forming a single party. On 22 August 1978, President Kenyatta died in Mombasa of natural causes attributable to old age. 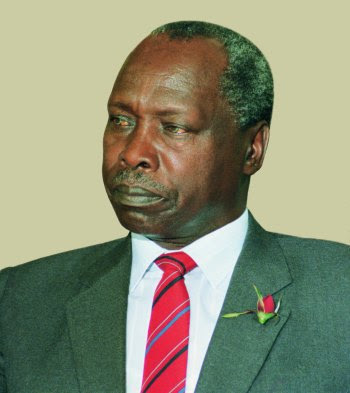 Daniel Toroitich arap Moi (born 1924) was the President of Kenya from 1978 to 2002. Previously, under President Jomo Kenyatta, he was Vice-President from 1967 to 1978; he succeeded Kenyatta as President upon the latter's death. Moi was constitutionally barred from running in the 2002 presidential elections. He was succeeded as president by Mwai Kibaki. 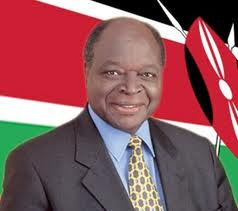 Mwai Kibaki (born 1931) has been the third President of Kenya since December 2002. 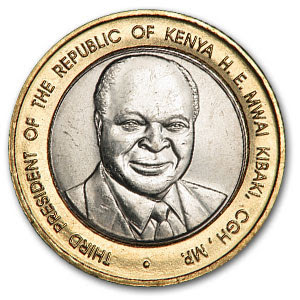 Kibaki was previously Vice-President of Kenya for ten years from 1978 to 1988 and also held cabinet ministerial positions. Moshoeshoe II (1938 – 1996), previously known as Constantine Bereng Seeiso, was the paramount chief of Lesotho, succeeding paramount chief Seeiso from 1960 until the country gained full independence from Britain in 1966. He was king of Lesotho from 1966 until his death in 1996. Letsie III (born David Mohato Bereng Seeiso; 17 July 1963) is the king of Lesotho. He succeeded his father, Moshoeshoe II, when the latter was forced into exile in 1990. His father was briefly restored in 1995 but died in a car crash in early 1996, and Letsie became king again. As a constitutional monarch, most of King Letsie's duties as monarch of Lesotho are ceremonial. Lesotho, 250 maloti, 1997. 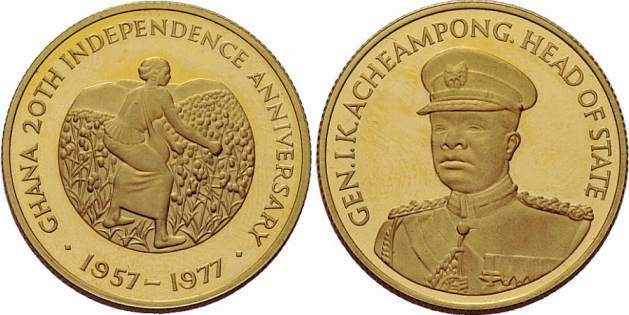 A gold coin issued to commemorate the coronation of King Letsie III. 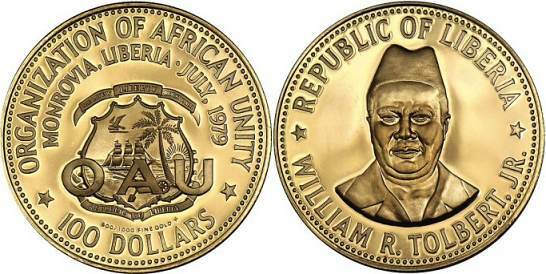 William Vacanarat Shadrach Tubman (1895 – 1971) was a Liberian politician. 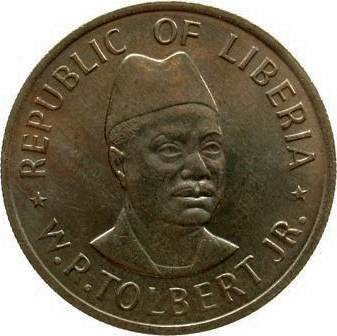 He was the 19th President of Liberia from 1944 until his death in 1971. 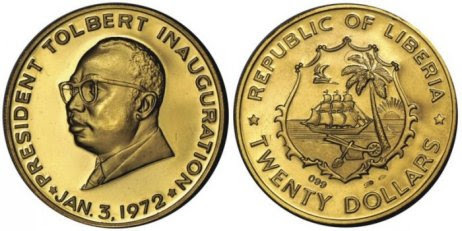 William Richard Tolbert, Jr. (1913 – 1980) was the 20th President of Liberia from 1971 to 1980. Trained as a civil servant, he entered the country's House of Representatives in 1955 for the True Whig Party, then the only established party in the country. 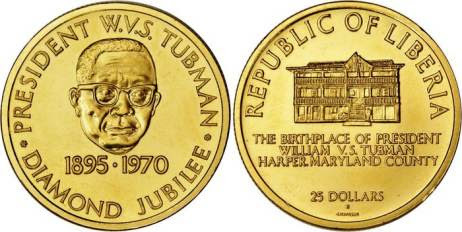 He was elected Vice president to William Tubman in 1952 and served in that position until Tubman's death in 1971. In the early hours of 12 April 1980, 17 non-commissioned officers and soldiers of the Armed Forces of Liberia, led by Master Sergeant Samuel Doe, launched a violent coup d'état. The group entered the Presidential palace and killed Tolbert. Tolbert's body was dumped into a mass grave together with 27 other victims of the coup. See Wikipedia: William R. Tolbert, Jr.
Hastings Kamuzu Banda (1898 – 1997) was the leader of Malawi and its predecessor state, Nyasaland, from 1961 to 1994. 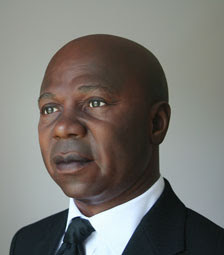 After receiving much of his education overseas, Banda returned to his home country (then British Nyasaland) to speak against colonialism and advocate independence. In 1963 he was formally appointed Nyasaland’s Prime Minister, and led the country to independence as Malawi a year later. Two years later, he proclaimed Malawi a republic with himself as president. He consolidated power and later declared Malawi a one party state under the Malawi Congress Party (MCP). 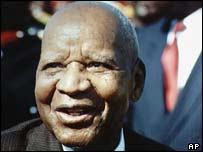 In 1970, the MCP made him the party’s President for Life. 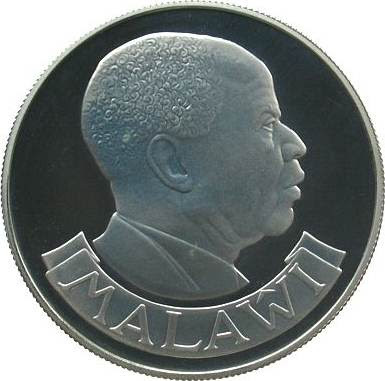 In 1971, he became President for Life of Malawi itself. 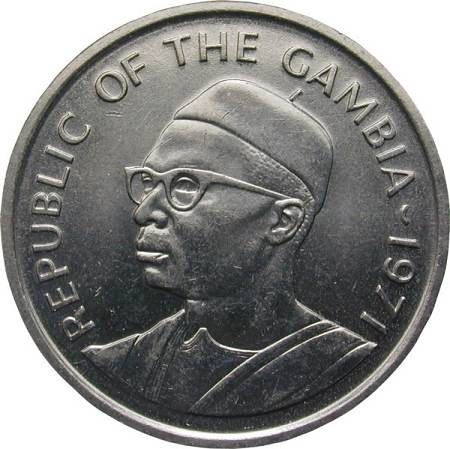 As a leader of the pro-Western bloc in Africa, he received support from the West during the Cold War. He generally supported women’s rights, improved the country’s infrastructure, and maintained a good educational system relative to other African countries. However, he presided over one of the most repressive regimes in Africa. He also faced scorn for maintaining full diplomatic relations with apartheid-era South Africa. By 1993, he was facing international pressure and widespread protest. A referendum ended his one party state, and a special assembly stripped him of his title. Banda ran for president in the democratic elections which followed, but was defeated. He died in South Africa in 1997. 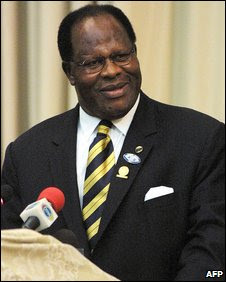 Elson Bakili Muluzi (born 1943) is a Malawian politician. He was the President of Malawi from 1994 to 2004 and was Chairman of the United Democratic Front (UDF) until 2009. 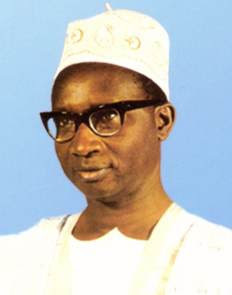 Modibo Keita (1915 - 1977) was the first President of Mali (1960–1968) and the Prime Minister of the Mali Federation. He espoused a form of African socialism. 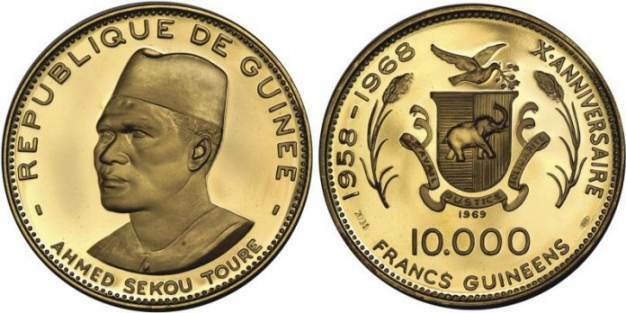 On November 19 1968 General Moussa Traoré organized a coup d'état against Modibo Keïta, and sent him to prison in the northern Malian town of Kidal. 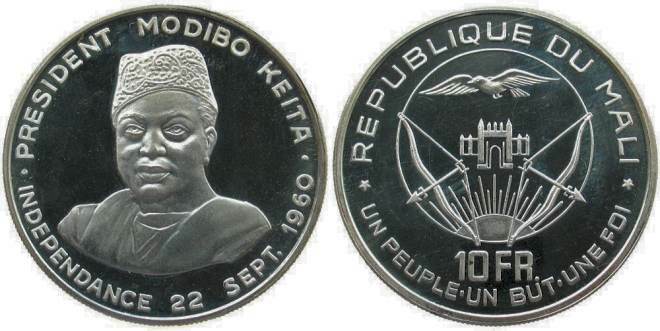 After being transferred back to the capital Bamako in February 1977 in what was claimed to be an action by the government towards national reconciliation in preparation for his release, Modibo Keïta died, still a prisoner, on May 16, 1977.